Distributed By – Mobile Fidelity Sound Lab, Inc. Mobile Fidelity Sound Lab gratefully acknowledges and thanks these individuals and companies for their technical support and expertise: Tim de Paravicini, Edmund Meitner, Pass Labs, EgglestonWorks, Sound Application, clear audio, STAX, Linn & Z-Systems,. Any sonic artifacts present are a product of the original master tape. Attempts to eliminate them would have negatively impacted the integrity of the presentation. Not sure if there is an issue with the Solid Blue, but it wasn't a "Great" pressing. It's good, it just doesn't have the blow you away dynamics quality that I usually would expect from a MFSL pressing. Paid $45 for this and I would expect to be blown away at that price. 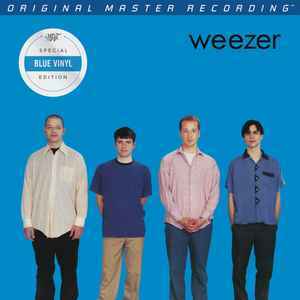 Anyone else have an opinion on the Solid Blue pressing? Is this just a blue marbled one that lacks any of the lighter blue pellets? If so, it probably shouldn't be a separate release.